The residency begins at Primary, a beautiful artist lead studio in Nottingham. We're greeted by Niki Russell, programme curater and guest Work in Common artist Emma Smith who gave a talk about her work and how she uses collaboration in her creative process. Emma'swork explores human forms of connectivity, looking in particular at those that operate on a subconscious level and has collaborated with a vast array of people and organisations from scientists to researchers. Her advice was to always aim high, go to the top when contacting people to collaborate with! You can find more about Emma's practise here. Jamie Sutcliffe joined us on Thursday, gifting us with insight on how far you can really push the idea of how to collaborate! He opened up the conversation of collaborating with mould – as did artists Kathy Acker and Alan Sondheim, and then discussed some recent non-human collaborations between Jenna Sutela and Physarum Polycephalum. From there the artists discussed their ideas and concepts. 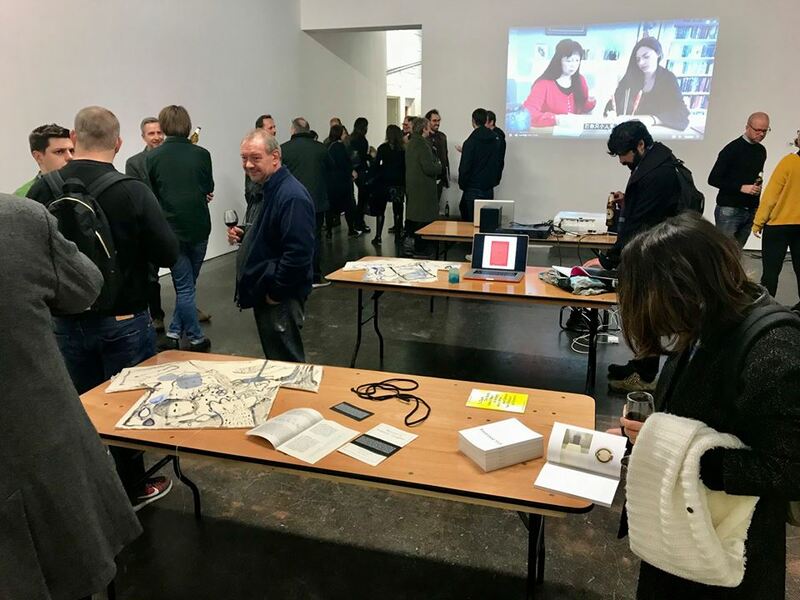 Thursday evening we hosted a Networking event at Primary where the artists shared the residency with invited guests and showed objects they had brought to the residency including T-Shirts, moving image on a projector and event a fog machine! The event was an opportunity for the artists to get to know other creatives in the city and a chance to sample the Small Food Bakery's edible delights, which had been fuelling the artists throughout their time at Primary! Friday was the last day of the journey where all the artists came together with myself and Niki to discuss and reflect on their experiences of the past week. We had a tour of of Primary and had a sneak peak at some of the artists work around the space. Tom Godfrey from TG guided us through the current exhibition by Stuart Mckenzie. Overall, a fantastic residency with some amazing artists from around the world coming together to share their views and learn how to think outside the box when it comes to collaborating and connecting with other!